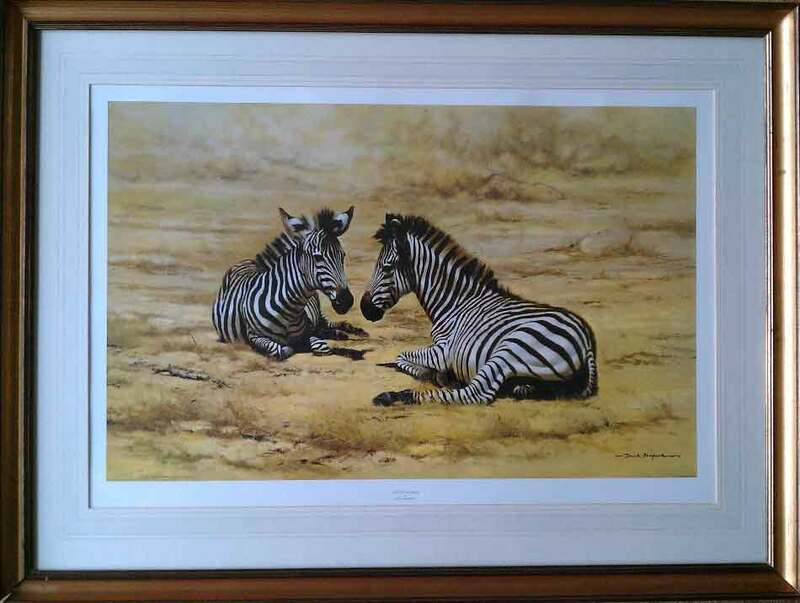 This was the third painting by David Shepherd to be published as a signed limited edition. "Up to that point, my only interest in art had been as an escape from the rugger field. The game was compulsory at school and I was terrified of it. I couldn't see any fun in being buried under heaps of bodies in the mud and having my face kicked in. of them for £10 each to the culture-starved inhabitants of the town and paid my passage home to England on a Union Castle steamer." featuring endangered mammals throughout the world. These have subsequently been shown in the United States of America on the Public Broadcasting Channel. and has been the 'target' for 'This is Your Life'.